Article first published as TV Review: INHUMANS on Seat42F. MARVEL’s newest show, premiering tonight on ABC, is INHUMANS. The eight-episode miniseries presents the first two installments this evening. The show finds the Royal Family of the Inhuman moon settlement the victims of a coup. Fleeing, they must find one another again, then figure out how to wrest control of their home and their people back from the traitorous relation that took it over. If you’re a fan of Marvel’s Agents of S.H.I.E.L.D., which also airs on ABC, you are already familiar with what Inhumans are – people that have some alien DNA mixed into their genetics, which gives them power when exposed to Terrigen Mist. The compound was released across the planet in S.H.I.E.L.D., and now there are Inhumans everywhere. INHUMANS is not about those Inhumans, though. The city of Attilan, where the story begins, is actually above the Earth, on the moon, hidden for many years. (The show doesn’t say how long they’ve lived there.) These Inhumans go through a gentler process of transformation than their counterparts on Earth, as they’ve been doing for generations, and the Mist isn’t harmful to those even who don’t have latent powers. Instead, the Inhumans without abilities form a lower caste to support the hierarchy of the city. It is convenient to make these Inhumans distinctly different. For one thing, it allows INHUMANS to use the familiar characters made famous in the Marvel comic books, which were never mentioned on S.H.I.E.L.D., so could not realistically exist on the planet in the form we’re used to seeing them. Instead, we get to see a fully-formed society headed by Black Bolt (Anson Mount, Hell On Wheels), Medusa (Serinda Swan, Graceland), and the rest without interferences from other Marvel properties. Unfortunately, INHUMANS begs to be tied in. It’s such a sweeping, important, powerful group, that one really wonders why they haven’t been involved yet. Yes, I buy their isolation. Yet, at the same time, it feels like they should have made some efforts to contact the Earth Inhumans before Triton’s (Mike Moh, Empire) tentative attempts in the pilot. Mount is a terrific Black Bolt, even with the sign language added in, which feels unnecessary and trite for the character, he conveys the power of the man that doesn’t dare speak for fear of destroying everything. 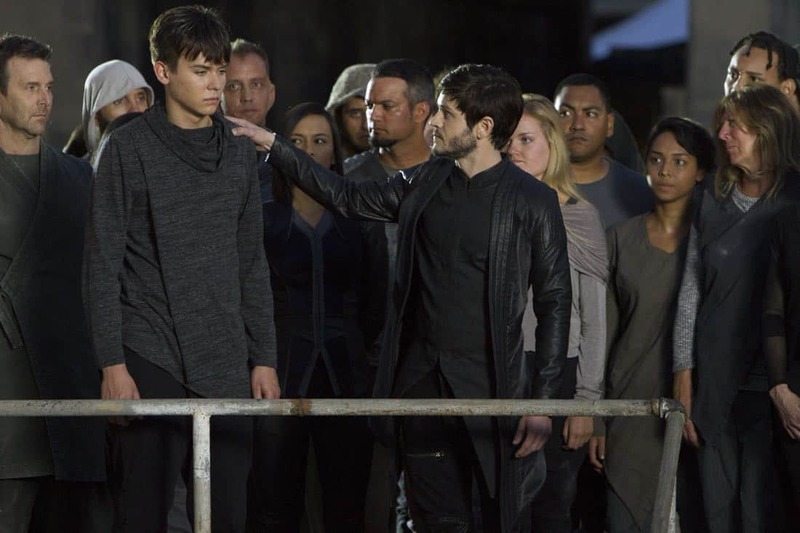 Iwan Rheon (Game of Thrones) also makes a stupendous Maximus, the conflicted brother of Black Bolt who feels he must rule the people to save them. Maximus doesn’t see himself as evil, and Rheon captures that nuance. I also like Isabelle Cornish (Puberty Blues) as Crystal and the way the show has CGI-ed giant dog Lockjaw. But the rest of the production just feels relatively thin I don’t see Swan as Medusa, and Ken Leung (Lost) feels a bit, well, lost as Karnak, while Eme Ikwuakor (Extant) is one-note as Gorgon. Lockjaw’s efforts to save the royals feels weird and inefficient. A plot that leaves most of the characters stranded in Hawaii seems like a network television stunt, rather than a well-considered story. The pacing is sluggish and the script plods. I was frequently bored, and INHUMANS failed to spark the same wonder and excitement that Marvel routinely does in their feature films (and occasionally does in their other small screen projects). Admittedly, there are worse things on TV, and because it’s Marvel, I’ll probably still watch it. By keeping INHUMANS to eight hours, it won’t be allowed to meander too much before it wraps up the central storylines. A second season might even produce something more entertaining and interesting. But as a first effort, this is a disappointment, not among the best Marvel has to offer, and misses the mark greatly on what should have been a really awesome group of characters. These should go back to the drawing board. INHUMANS premieres tonight at 8 on ABC.